Today on the show, we welcome Julie Broad. 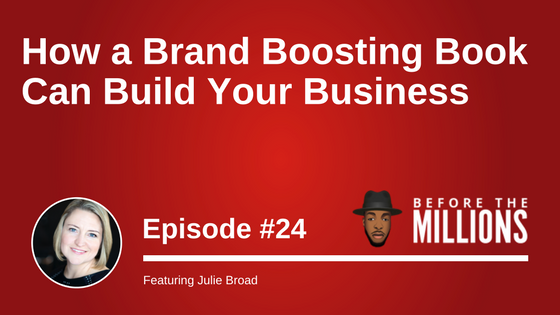 Julie is a bestselling Amazon author, the President of Book Launchers and has had a fascinating entrepreneurial journey in the real estate niche. Julie bought her first duplex at age 23 and self-published her first book in 2013. Julie was told by publishers that her book wouldn’t sell, but her book crushed the publishers’ predictions by soaring to Number One, overall, in Canada. Four years later and her book is still making big sales! Although Julie is currently writing her third book, her main focus today is to help self-publishers sell their work, as well as non-writers boost their brands and gain credibility through their books. This is done through her Book Launchers program; where her and her team help entrepreneurs and professionals go from concept to copies in half the time. In this episode, Julie shares why she believes writing a book is equivalent to getting a degree. She is going to teach us how to establish ourselves as an authority in our field, how to energize our brands, how to publish our book and make sure that it rises to the top of the pack. If you’ve ever thought about writing a book but you’re scared, this is the episode for you! How Julie became an entrepreneur and her “Freedom 35” plan. The lessons Julie learnt from real estate and why she wrote her first book. Learn more about the first real estate deal Julie made at age 23. Why an MBA will equip you to be an employee, not an entrepreneur. Why the best time to dig for deals is when the going gets tough. Discover what prompted Julie to build a brand and self-publish her book. The mistake Julie made that cost her US $12,000 when self-publishing. How to know if you should write a book and the questions you should ask yourself. Learn more about Julie’s company, Book Launchers, and its success stories. How to self-publish your book: steps, tips, processes and how to launch. Common mistakes entrepreneurs make when writing their book. How to make sure that your book isn’t boring. 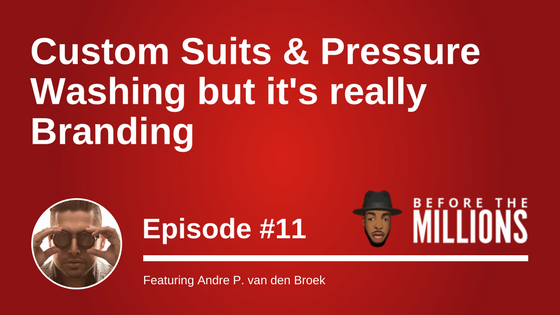 On today’s show we welcome Andre P. van den Broeck, the founder and CEO of Gleam Bin Cleaning and Pressure Washing Services and André Philliipe, a mens custom tailoring company. That company has actually won multiple award in the Dallas, Fort Worth area, including Dallas’ A-List award for Best Gentleman’s Clothing and four months later he signed a contract with a 2.5 billion dollar company. André is a creator of things and connector of people and opportunities. 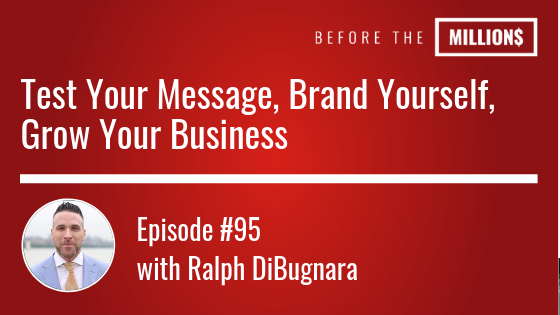 He creates new brands and breathe life into brands who need it. He specializes in defining the tone, pace, voice and narrative of brands and help get that message out to the world. André connects dots for businesses and individuals alike. He lives to make make these connections because he believes we are all only a hand shake away from the next level. In today’s episode we figure out how he came up from his beginnings. This talk is inspirational and it speaks to the notion of persevering and seeing your vision through all the way to the end. André takes us back to the beginning and how he got started in business. Hear how André’s parents getting a divorce impacted a clear change in his life. Learn how André started a cleaning business to make extra money. Find out how André got into his entrepreneurial mindset through hard work. Understand why André moved away from the business because of time constraints. Discover why André started a real estate company that sold brand new homes. How he lost everything, spending all of his money and what he did to recover from it. Learn how André got into creative recruiting and why that was a major catalyst. Find out how working in advertising got André on the path to where he is today. André explains how he started André Phillipe Menswear through his own experience. Understand how the André Phillipe brand grew and started winning awards. Hear André’s experience through the process of branding himself and growing the business. Advice for structuring partnership in a business, and avoiding crucial mistakes. Learn why it’s important to know each other’s strengths and weaknesses. How Gleam came about through André’s experience with a trash can. Find out what’s on the horizon for André and his businesses. Discover why Napoleon Hill’s book, Think and Grow Rich, is a book André recommends. How André sacrificed relationships, perception, money and time to get where he is. Why success is a three step process, and how you can implement it in your own life. Discover why failure is only an option for people who choose failure as an option. Real Estate mogul Joe Fairless is the founder of Fairless Investing and currently owns almost $170 million in real estate. He designs his life so that he can spend time pursuing his passions and purpose. His life’s purpose is helping people achieve financial success. Joe believes that when he helps other achieve financial success, they too can use their time to pursue their own passions and purpose. However, before following his dreams, Joe worked paycheck to paycheck, and eventually started investing in learning more about real estate while working a full-time job in advertising. He went to seminars, read books, and received mentorship from people who had done what he wanted to do. By the time he left advertising in December 2012, Joe owned four single family homes that produced monthly income. It wasn’t enough to live off of but it sure helped out, considering he no longer had a job. On today’s show, Joe shares with us not only about his real estate ventures, but also about his world famous podcast, The Best Real Estate Investing Advice Ever Show, also known as The Best Ever Show. Joe’s podcast is the world’s longest running daily real estate podcast, and he is a top podcaster in the business world. Today we dive into how Joe actually came from humble beginnings, more about his thought leadership platform, and how it has helped him grow his audience. Why Joe left his full-time job, despite being the youngest VP of a New York City advertising agency. How to know when your job is not right for you, and the importance of doing work that matters. How Joe got started on his entrepreneurial journey and cultivated his thought leadership platform. What it means to sample life experiences and learn from top achievers. How Joe used standup comedy to improve his public speaking. Why being yourself and opening up to others, creates much stronger relationships. The importance of a life coach and how they impact your entrepreneurial journey. How Joe shifted his mindset and tactics to find success in the podcasting realm. 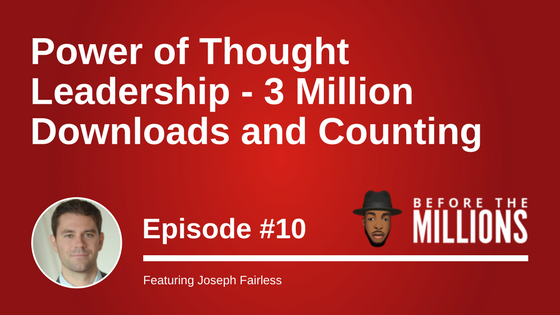 The strategies Joe used to grow his podcast to over three million downloads. Understanding when do push on and put in more effort, despite a lack of results. The importance of consistency, not only in work, but in your daily routine of life. Find out more about how Joe structures his goals in 5 and 10 years terms. How living in the same apartment for 9 years before the millions got Joe to where he is today.